Bernd Leno was at fault for the Eric Dier goal on Sunday as he should have kept out the header at his near post. However, it was a rare mistake in what’s been an impressive start to his Arsenal career so I’d stick with him ahead of Petr Cech tomorrow. Emery has gone with a back three/five in the past two matches and I think it really suits us. We were comfortable from open play against Spurs so I hope we see the boss stay with the new system against United. With Laurent Koscielny still working his way back to full fitness I’d go with the same back three of Sokratis, Rob Holding and Shkodran Mustafi while Hector Bellerin should obviously start in the right wing-back role. Nacho Monreal is back in full training after recovering from a hamstring injury but I don’t think he’ll be fit enough to start and Sead Kolasinac was excellent against Spurs so he should keep his place on the left. Unfortunately Granit Xhaka will miss the trip to Old Trafford after being shown his fifth booking of the season on Sunday so he’ll serve a one match ban. 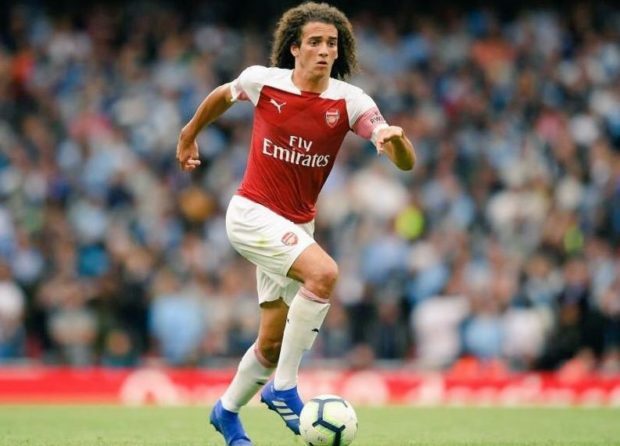 Matteo Guendouzi has been impressive whenever he’s been given the chance so hopefully he’s given the nod over Mohamed Elneny. Lucas Torreira produced a sensational all-round performance against Tottenham and he’s really becoming a fan-favourite at the Emirates Stadium. Let’s hope he continues his fine form on Wednesday night. 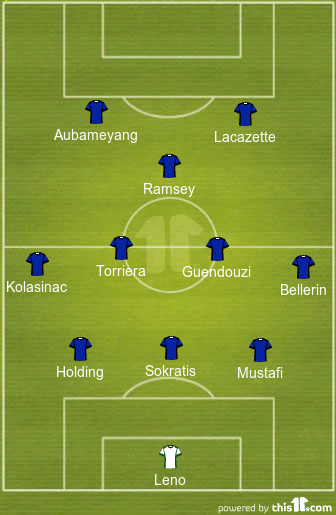 I’ve been calling for Emery to play this formation all season and we finally saw the boss go with two up front in a 3-4-1-2 during the second half on Sunday. I thought it worked a treat as we blew Tottenham away with three second half goals and totally dominated. Pierre-Emerick Aubameyang should obviously keep his place as he proved once again that he’s one of the deadliest finishers in Europe on Sunday with another brace to make him the league’s top marksman. 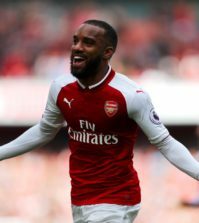 The Gabon international is most dangerous through the middle but so is Alexandre Lacazette and I think we’re a much better side with him in the team so it makes sense to go with two strikers when possible. 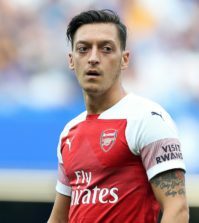 Mesut Ozil has been axed by Emery – sorry I mean he’s got ‘back ache’. 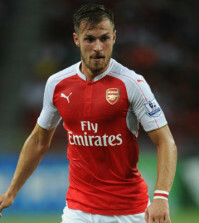 The German is a doubt for tomorrow’s game and I wouldn’t start him even if fit. Sunday’s performance showed us what we’re capable of when all eleven players give their all so Ozil’s going to need to work hard to regain his place. 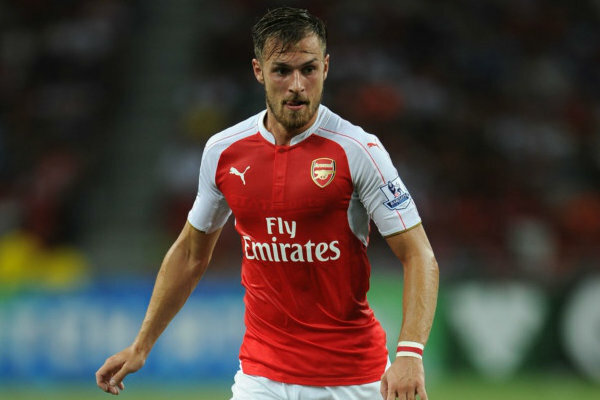 Aaron Ramsey showed Ozil how it’s done with a superb performance off the bench at the weekend and he was a real handful behind Laca and Auba so I hope Emery gives this new-look attack a chance to develop. Sadly that means no place for Alex Iwobi – who’s made great strides this season – while Henrikh Mkhitaryan will also drop to the bench but they’ll be great options to have if needed.